One of the joys of the internet is its ability to transform ideas into reality. Websites like Kickstarter not only gives start-ups a launching platform it is also funds them. 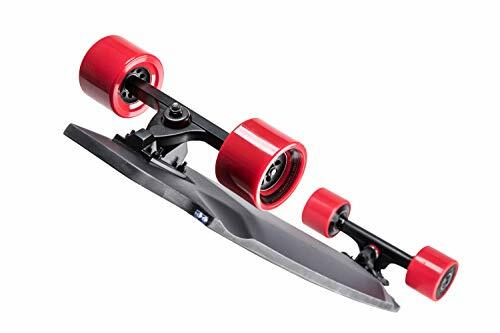 For extreme sports enthusiast Ryan Evans and mechanical engineer Theo Cerboneschi the dream was simple- to provide an electric skateboard that would be easy to carry and would ride like a normal skateboard after the battery dies. Since 2014 they’ve raised over $400,000 on Kickstarter and, in 2015, launched their first board: the M1 Premium electric skateboard. Today, we’re going to find out if it was a dream worth keeping. As the inboard name suggests the M1 premium is a self-contained unit. The wires, motors and batteries are all neatly tucked away somewhere in the slim, satin black body. Looks-wise this board is one of the prettiest available and it looks every inch the exclusive item that its price tag suggests. It’s also one of the lightest boards you can buy with a carry weight of just 12llbs. On this board, innovation doesn’t end with the appearance. The motors, dual 1600W, are built-in to the wheels. Inboard call this the Mantra drive and, in case you wondering, the technology is patented so you won’t find it anywhere else. With no gears, pulleys or chains this power system offers 40% more torque. The real benefit of this system is measured after the battery dies though. There’s almost no friction when manual pushing which means you only have to contend with the added weight when free-rolling. It feels just like a normal skateboard and Ryan Evans’ experience in extreme sports has clearly manifested itself in this product. The standing deck has a noticeable stiffness which is important for navigating tight turns at top speeds- a feature that will be appreciated by pro riders. At the top speeds the stiffer deck really helps with stability which encourages even novice riders to push themselves to the limit. This is a fun product which stays true to the type of thrill that attracted people to skateboards in the first place. As a concept the M1 premium is flawless. 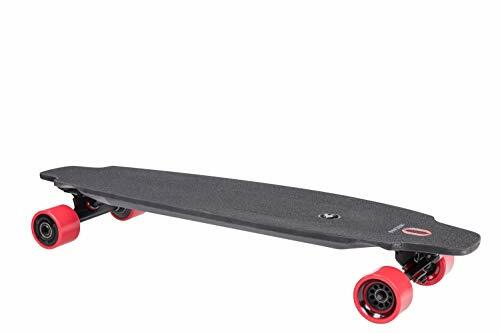 It looks cool and it recreates the skateboarding experience very well but the performance has to be judged against similar priced products. When Tech Gear Lab road-tested this product they found its top-speed clocked in around 19mph – not the fastest but still fast enough. 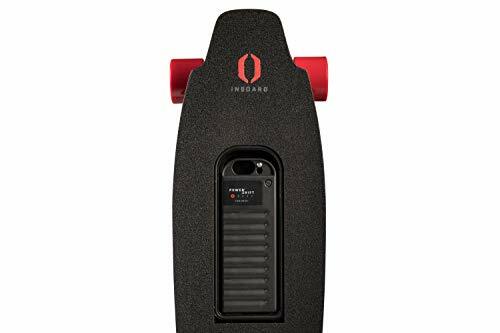 The Inboard’s range is where the problem begins with just over 6 miles per charge. That is mitigated by the excellent, click-in click-out battery replacement system but spare batteries cost around $250 at the time of writing. That’s a big additional cost given the board itself is one of the more expensive boards on the market. In spite of its patented engine system, the M1 does struggle on inclines as well as with acceleration. This is probably due to the lack of drive belt. 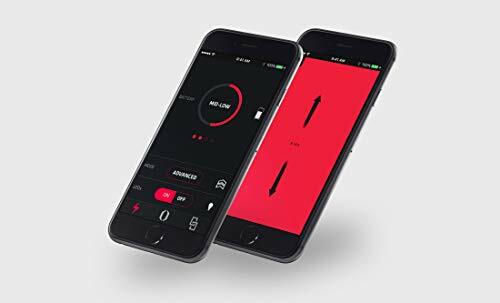 The braking is not particularly responsive either but it does regenerate the battery increasing charge. 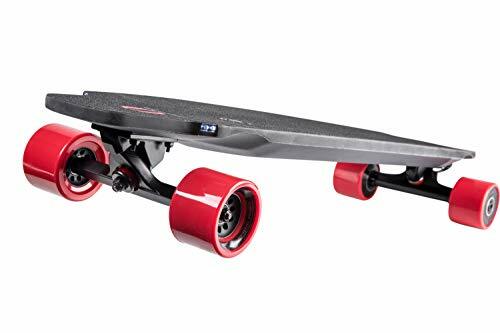 These performance issues are reduced by its feel and the ability to ride the m1 like a normal skateboard but this is not the best performer you can buy whilst its price tag suggests it should be. The M1 premium has a lot of great ideas but struggles to put them in practice. It’s an expensive product which doesn’t perform as well as its main competitor the Boosted board. Make no mistakes though, this is still a great product with the best riding experience on the market. It just feels as though Inboard need a little extra time to really get the most out of their ideas. The next generation of this board could well be a market leader provided they iron out a few of the issues on this model.